We, at Boger Homes, have developed a strong reputation among the local realtor community as well as some of the more popular architect / designers in the area serving: Lutz, Odessa, Carrollwood, Land O Lakes, New Tampa, North Tampa, and South Tampa. Our goal is to work hand in hand with our customers from design through construction to ensure a truly custom masterpiece and a happy homeowner. Our relationships with our customers is truly a life experience since we make it our business to really know you. A custom home incorporates all of the idiosyncrasies and lifestyles that a family wants and needs. It is our mission to understand that fully and reflect that understanding in the product of the home we build. At Boger Homes, as custom home builders, we have forged strong relationships with some of the more popular architect/ designers in the local communities. 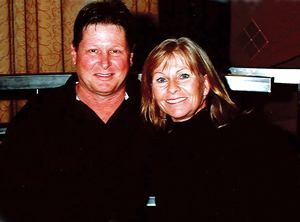 We serve: Lutz, Odessa, Land O Lakes, Carrollwood, New Tampa, North Tampa, and South Tampa..
David and Wendy Boger have established themselves with strong community ties both professionally as well as personally. They have developed a loyalty to their subcontractors and industry suppliers, who have contributed much to their continued success, Boger Homes works hard to maintain happy customers as their primary goal. A satisfied customer is their best referral source, as many have come back to repeat their happy experience. Some have built multiple homes with Boger while others have started from scratch with site selection, home design, and interior finishes. Boger works with the clients throughout the process to make the entire experience a good and stress free one. Everyone has a dream and if yours is a new or remodeled home idea,, then we at Boger invite you to come in and share that vision with us and we can help you make that dream come true. Our areas that we serve are: Lutz, Odessa, Carrollwood, Land O Lakes, New Tampa, North Tampa, and South Tampa.